Both PANDA and Lifeline can help with immediate support. Gidget Foundation Australia offers a free video counselling service for new and expecting mums and dads who are experiencing perinatal depression and/or anxiety and are unable to have a face to face consultation. Up to 10 free* video counselling sessions are available to parents through the Start Talking program. You will need a referral and a mental health care plan from your GP to use the service. 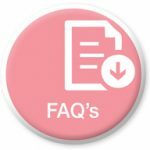 Download our Frequently Asked Questions to find out more about the Start Talking Program. For more information, or to book an appointment, send our supportive staff an email on starttalking@gidgetfoundation.org.au or call us on 1300 851 758. Are You a Psychologist Wanting to Support the Program? If you are a general psychologist, clinical psychologist or psychiatrist and you would like to be involved in Start Talking, or any of Gidget Foundation Australia’s other programs, please email us at starttalking@gidgetfoundation.org.au or call us on 1300 851 758. 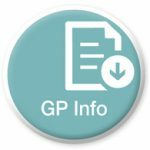 Are You a GP Wanting to Refer a Patient to the Program? Are you a GP who has a patient experiencing perinatal depression and/or anxiety? 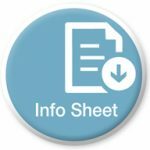 Download our GP information sheet. In April 2018, the Gidget Foundation launched its Start Taking telehealth program, in recognition of the need to support parents in regional, rural and remote locations of Australia. Start Talking provides up to ten (10) free* telehealth psychological counselling services for expectant and new parents suffering from perinatal depression and anxiety who are currently unable to attend face-to-face sessions. The services are conducted via a video call service. Start Talking offers the same quality of care available through the Gidget Foundation’s face-to-face psychology services at Gidget House, affording those with limited access, quality clinical psychological treatment. Whilst there is no cost to clients to access the Start Talking program, a referral and mental health care plan from a GP are required. We welcome all parents who need access to specialised perinatal mental health care. Partners can also access these services. Please contact our supportive Start Talking Program staff on 1300 851 758 or email starttalking@gidgetfoundation.org.au to book an appointment or discuss the service. Further information is available through our Frequently Asked Questions. All clients will be required to complete a Start Talking client registration form. The Start Talking program is unable to provide crisis support. If you need urgent help, please contact the PANDA National Perinatal Anxiety and Depression Helpline on 1300 726 306. The Helpline is open Mondays to Fridays between 9am and 7.30pm AEST. Alternatively, please call Lifeline on 13 11 14. *Whilst there is no cost to clients, the cost of the ten telehealth psychological counselling sessions is fully funded by Gidget Foundation Australia, in collaboration with Medicare Australia’s Better Access to Psychiatrists, Psychologists and General Practitioners initiative. The Hon. Greg Hunt, Minister for Health, Launches Start Talking.